Dikikapa is an organisation that aims to inspire and motivate the youth of South Africa, particularly those who are still in high school, to use education as a tool to achieve their dreams and contribute positively to society. 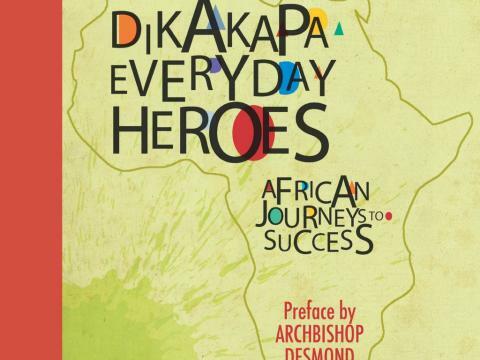 The Dikakapa Everyday Heroes workshop took place on Saturday 20th of August with 40 eager grade 10 learners participating. The workshop was vital as it placed an emphasis on career guidance for the learners who are still thinking about their career path. The workshop was facilitated by the ever vibrant, Hlumani Ndlovu, who is the one of the founders of the organisation. The workshop focused on inspiring and motivating young minds in order for them to become independent. Fundamentally, the workshop was about the discovery of who you really are, knowing that you are human enough to make mistakes and to learn from them. It also addressed changing the manner in which young people think. 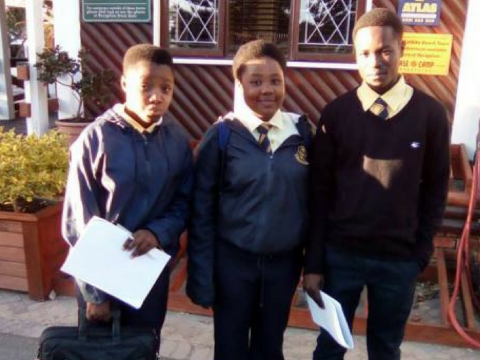 ‘’We were inspired to stop thinking about failures because this reinforces negative ideas/thoughts in our minds, thereby not allowing opportunity for positive thinking’’ Aluncedo Mzamo, grade 10 learner, shared about the workshop. The other burning issue identified were the destructive decisions that young people make in their lives. Engaging conversations about self-value were tackled, with some learners sharing that they sometimes value the opinions of their friends and what is trending in pop culture above their own which proves to be disastrous in achieving their set goals for academic development. “Make decisions that will coincide with your dreams and not allow others to taint your future plans’’ was the theme from the discussion. “’We learned that anyone is capable of changing their circumstances for the better. and this can be achieved through hard work. “ enjoyed reading and participating in the expressive experience’’ said Zizipho Paule, grade 10 learner. ‘’The message I have for you is to take control of your future. Anything can be accomplished if you are dedicated and apply yourself. Aim high for a better academic future“, Hlumani said in closing. 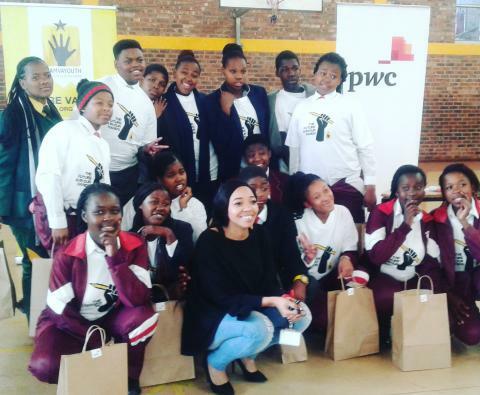 On Friday 12th August 2016, the grade 9 and 10 learners were fortunate to spend some time with employees from Pricewatercoopers (PwC). It was an exciting afternoon for our learners as they were only expecting a talk before getting back to their books. Instead the PriceWaterCoopers employees brought along board games marking the beginning of a fun-filled afternoon. The learners were divided into small groups and played different games including 30 Seconds, Monopoly, Twister, Wikipedia, Dominos, Snakes and Ladders and many more. With music playing in the background and the learners having fun with the guests, it felt like a celebration. It is always great to see people taking time out of their lives to give back to young people. We appreciate PwC for availing their employees. We are grateful as IkamvaYouth and our learners definitely enjoyed it. 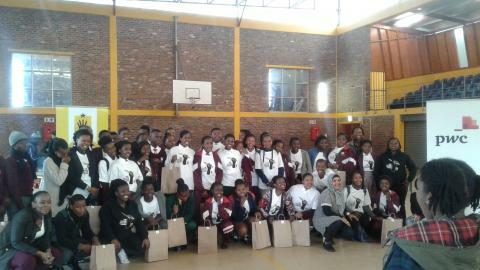 At the end of the event, PwC handed over food packs for the learners and trust me when I say it was a wonderful treat for our learners. The University of Cape Town Graduate School of Business, through two of its specialised units, continues to invest in Africa’s future leaders, and is calling for scholarship applications from across the continent for its 2017 academic year.. The UCT Graduate School of Business (GSB) is inviting motivated leaders from across Africa, with a track record of action who would like an injection of skills to help them go further to apply for one of several scholarships available at the school in 2017. In recent years the GSB, through the Bertha Centre for Social Innovation and Entrepreneurship and the MTN Solution Space, has made significant investments in the development of Africa’s future leaders through access to scholarships. To date over R6 million has been committed in scholarship funding for GSB Masters and PhD programmes. This has been made possible through the generous support of funders, including GSB Alumni, the Bertha Foundation, the Canon Collins Trust and the MTN Group. “We’re delighted to be able to continue this funding into 2017 and are inviting prospective African students who would like to study either towards their MBA or Master of Philosophy in Inclusive Innovation at the UCT GSB to apply for a scholarship,” says Dr Francois Bonnici, Director of theBertha Centre.“Through the scholarships the Bertha Centre hopes to support those who want to address our continent’s greatest challenges. We want to encourage especially those seeking social change to apply and those interested in understanding and/or challenging the current ideas of business and what it does and is used for,” says Bonnici. The Bertha Centre, a specialised unit at the GSB established in 2011 in partnership with the Bertha Foundation, seeks to support: changemakers; social activists, entrepreneurs and innovators and out-of-the-box thinkers. Previous Bertha Centre Scholars include co-founder of Lumanki, Francois Petousis; Pimp-my-Book founder Mpodumo Doubada as well as Business Day columnist, and Livity Africa Deputy Managing Director Zamandlovu Ndlovu. “Through the generous support of our donors and sponsors we are able to cover tuition fees for our Masters programmes and provide additional financial support for living and travel costs where needed,” says Sarah-Anne Arnold, Manager of the MTN Solution Space.The MTN Solution Space, established at the GSB in 2014 in partnership with the MTN Group, seeks to support problem solvers – doers, makers, thinkers and creators – who continually seek to advance and leverage technologies for the well-being of Africans. Previous MTN Scholars include Rudzani Mulaudzi co-founder of Gradesmatch and Lianne du Toit Vice Chairperson of Silicon Cape and founder of GovHackSA. “While scholars are distinct in their professional goals and ambitions and hail from all over Africa, they are united in their common goal: to have a significant impact in the world,” says Arnold. Geoff Bick, Acting Director of the GSB, says that the school continues to enjoy an outstanding reputation both in Africa and more broadly and is well placed to further the careers and increase the impact of committed change makers.“The UCT GSB full-time MBA is still the only MBA in Africa to be ranked in the Financial Times ranking of the top 100 MBAs in the world and it offers one of the best business educations on the continent. The GSB MBA curriculum is also the first in Africa to incorporate social innovation as a core subject. Equally groundbreaking is the MPhil in Inclusive Innovation – an interdisciplinary research-based degree that leads to the practical prototyping of new business models aligned to African markets – a first of it’s kind on the continent,” he says..
To be eligible for the scholarships, applicants must be a citizen of an African country, and must first be accepted onto the programme of their choice. 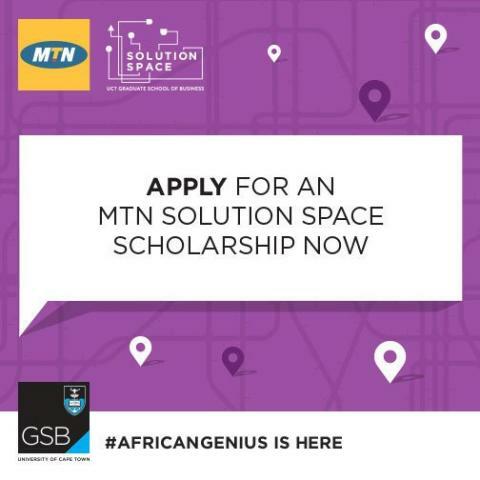 Anyone interested in applying for a Bertha Centre or MTN Solution Space scholarship should visit the GSB Scholarships information web page here. The deadline for applications is 31 October 2016. Watch the MBA and MPhil videos on YouTube for more information on the programmes.